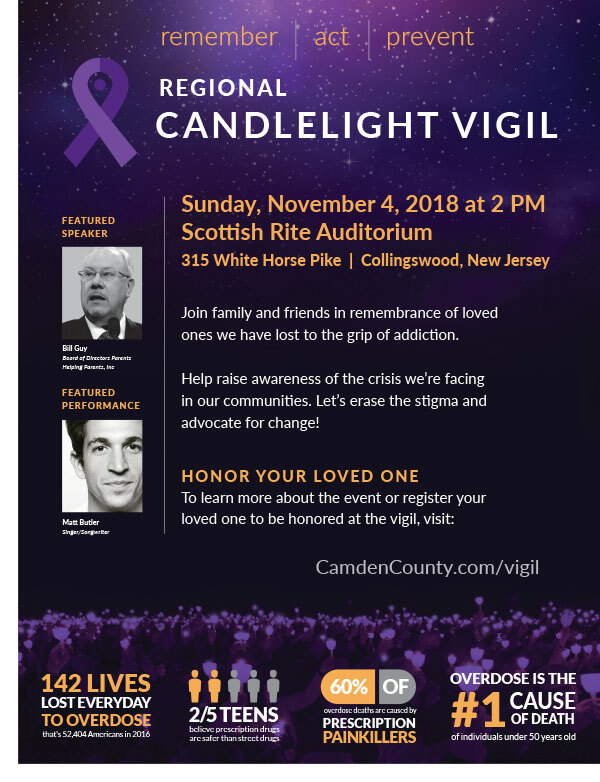 The Candlelight Vigil will bring a sense of community to the battle of addiction. People in public service, public health, and within the community will come together to share memories with people in recovery, still fighting the battle, and those left behind. The Vigil will include speakers, service tables, grief counselors, and a dessert reception. Let’s erase the stigma and advocate for change. Help raise awareness of the crisis we’re facing in our communities. Let’s erase the stigma and advocate for change. If your loved one is not included, please submit them here. If your loved one is included but you need to add a photo or make a correction, please submit an update here.